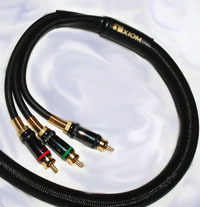 At Axiom we take a rational, scientific and no-nonsense approach to cables in general, speaker cables in particular. If it's good-quality copper and it's thick enough for a given length (we like 12-gauge for speaker cable runs longer than 15 feet), then the cable's resistance is low enough to prevent any audible or sonic degradation. 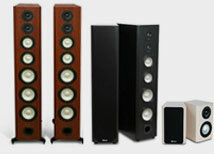 We also take a dim view of assertions made by many sellers of exotic, costly branded speaker cable as to scientifically unproven claims of vastly improved sound quality. All of the careful scientific tests in which we participated at Canada's National Research Council have shown no improvement whatsoever in costly exotic speaker cables over good-quality copper of 12-gauge or 14-gauge in lengths up to 30 feet. 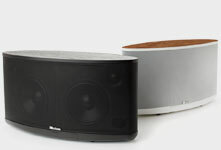 Coaxial analog-audio RCA interconnects only deal with audio frequencies, a fairly limited bandwidth from 10 Hz to 20 kHz or a bit higher (the khz means 1,000, so 20 kHz is 20,000 Hz). 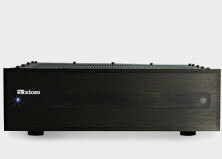 But video cables must routinely pass high frequencies of 12 MegaHertz (MHz)—mega stands for 1 million and for High Definition TV signals, the video cables must have a bandwidth of at least 35 MHz (35 million Hz) if the video frequencies are to pass from source to TV display without losses. If you get high-frequency losses in video, the sharpness and clarity of the image suffer. So if the cable is of poor quality, with excessive capacitance (too much capacitance produces high-frequency losses), the picture may be soft, or blurry. For HDTV signals, it's worth using high-quality cables for even short lengths. Good-quality component-video cables will carry analog progressive-scan video from a DVD player as well as High Definition video signals from an HD tuner, satellite receiver or cable box to a TV display either directly or via an A/V receiver's component video inputs and outputs. Note that the A/V receiver's component-video inputs and outputs should be "wide bandwidth" (meaning video bandwidth of at least 35 MHz or more) if they are to convey HD signals with no visible losses through the receiver's switching circuits. Ranked in terms of overall picture quality, component video usually ranks at the top, S-Video is next, and composite video is last. But what of video cables? To steal a line from ol' Bob Dylan, the times they are a'changin'. Most people have hooked up a VCR or DVD player to a receiver or a TV set using a simple shielded RCA video interconnect. It is by far the most common type of audio and video connector, so-named because of the small, male, single-pin RCA plug at each end of a shielded, coaxial cable. (A coaxial cable has an outer braided metal shield and an inner copper conductor, with a non-conductive insulation or dialectric sandwiched in between). The woven outer shield prevents RFI (radio frequency interference) and EMI (electromagnetic interference) from getting into the cable and degrading the video signals. It is commonly used for composite video (a single cable, often color-coded yellow), S-Video, and component-video connections, the latter consisting of three shielded cables (coded red, green and blue), which keep the color and luminance (brightness) signals separate from each other. Composite-video (single cable, RCA plugs), S-Video (single cable, multi-pin connector), and component-video (three cables, RCA plugs) are all analog video connectors. But there are important differences in the functions of video interconnects compared to audio interconnects. 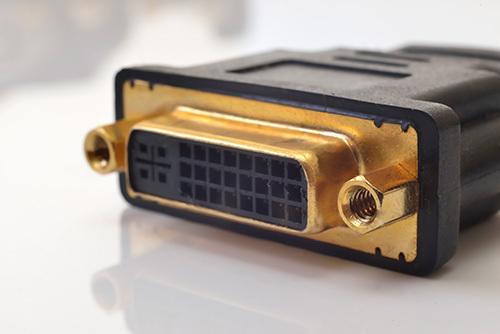 Recently, two new types of connectors DVI and HDMI—are appearing on the latest generation of HDTV displays and DVD players. 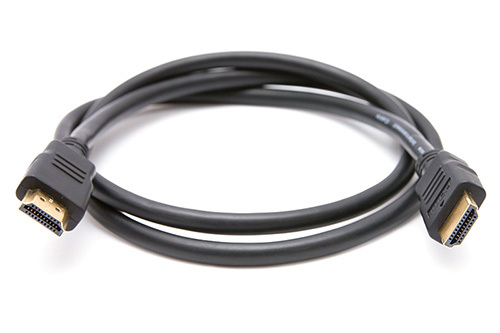 DVI (Digital Visual Interface) is a big, clumsy, multi-pin plug and carries digital HD video (it may carry analog video as well but it is not a DVI requirement). HDMI (High Definition Multimedia Interface) uses a smaller plug that looks like an oversized USB plug. 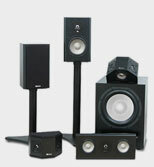 HDMI carries the same digital video as DVI but also carries a Dolby Digital audio data stream. In addition to new HDTV displays, some new HD cable or HD satellite boxes and up-converting DVD players may have one or both of these digital video output connectors. The DVD player will up-convert a DVD's 480i or 480p output signals to 720p or 1080i to match the HDTV display's native resolution. (See a previous article for an explanation of native resolution.) Both DVI and HDMI are high-speed digital connections that keep the video in the digital domain all the way from the HD cable box, HD satellite tuner or DVD player to the HDTV display, eliminating the extra digital-to-analog (D/A) and analog-to-digital (A/D) conversion that normally takes place with component video cables (remember, those are analog video connectors). The theory sounds impressive, and there has been lots of excitement and hyperbole about these new digital HD connectors. The rationale goes like this: If component-video cables are the best analog video connectors you can use, then DVI or HDMI digital video connectors must be better because they maintain the video in the digital domain all the way to the HDTV display, right? The presumption is that if the conversion is done in the digital domain inside the DVD player, avoiding an extra conversion to analog (component video) and back again to digital when it reaches the HDTV display, then improved clarity and color should result. But here's where things get murky. What no-one is talking about is that even though the HD video is up- or down-converted and kept in the digital domain, when the digital video signal reaches the HD display in its native format, the digital TV still has to re-clock the digital video so that it exactly matches the TV's native resolution. And according to informed sources, re-clocking digital video may produce more picture degradation and video artifacts—not less—than a good analog component-video connection. Two other factors come into play with DVI and HDMI that have the potential to cause video artifacts. The quality of internal digital video conversion chips may vary considerably from one product to another. Faroudja, Genesis, and Silicon Optix produce some of the best (and most expensive) digital video processing chips available, but there are lots of cheaper options from other chip-makers that a manufacturer can choose from to keep manufacturing costs down. Moreover, the quality of video A/D and D/A converter chips has improved tremendously, which means that even inexpensive DVD players these days are likely to have excellent video D/A processing through the component video outputs. Finally, any device with DVI or HDMI outputs must carry a special digital anti-piracy code called HDCP (High-bandwidth Digital Content Protection) to thwart illegal copying. HDCP is mandated for both DVI and HDMI connections and uses an authentication protocol developed by computer chip-maker Intel. It involves the HD digital cable box or HD satellite receiver sending a kind of digital hand-shake to the HD receiving device (the TV display) to ensure that it's licensed to receive the HD content. These anti-copy codes are embedded in the digital video data stream and must be removed by the video processor in the HD display. Result? The display's internal video processor has to do extra digital work with no benefits to picture quality, so possible degradation may take place. Using the analog component video outputs bypasses the anti-piracy codes, so the TV display doesn't have to deal with the extra processing. One appealing aspect of video, of course, is that you can see the results of picture degradation, so you can try an analog component-video connection to your HD display and compare the results with a DVI or HDMI digital video connection. Look for any visible artifacts noise in dark areas, frequent drop-outs or freeze-ups of the image artificial peaking or sharpening of the image, with white halos around the edges of objects, as well as the overall sharpness and clarity of the HD images. Use the cable link that produces the most satisfying and realistic movie-like image.